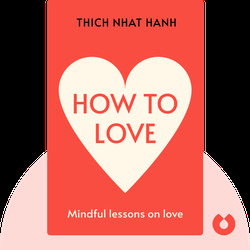 How to Love (2015) is an indispensable collection of teachings on the subject of love from the world-renowned Zen Buddhist master Thich Nhat Hanh. 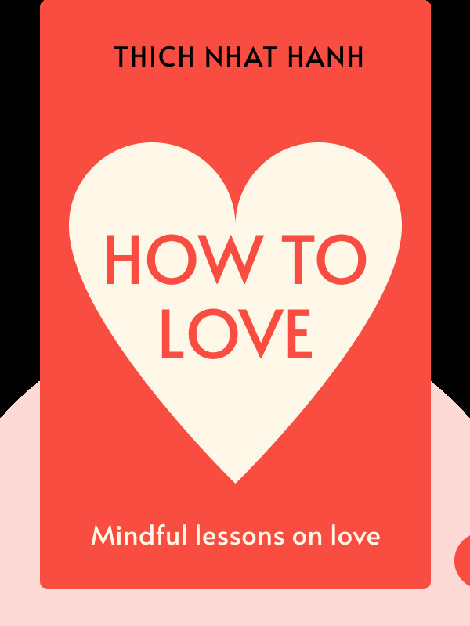 Packed full of wisdom and insight, this aphoristic handbook unlocks the mysteries of true love in its exploration of what it means to love ourselves, our partners and the world itself. Thich Nhat Hanh is a Vietnamese Buddhist monk and the founder of Plum Village, a well-known retreat in southwestern France. Hanh is both a spiritual teacher of mindfulness known around the globe and a prolific author of essays, books and poems. His previous books include the bestsellers Anger: Wisdom for Cooling the Flames and The Miracle of Mindfulness.